Microsoft has just released new Windows 10 cumulative updates for all versions of the operating system, including the Anniversary Update (version 1607). All three, namely KB3198586, KB3198585, and KB3200970, can be downloaded right away via Windows Update, but users should keep in mind that these updates require a system reboot, so work needs to be saved before anything else. Since they arrive on Patch Tuesday, these cumulative updates include security fixes as well, and Microsoft recommends everyone to install them as soon as possible. There are also some other improvements and reliability enhancements for both the operating system and the pre-installed apps, such as Microsoft Edge browser. 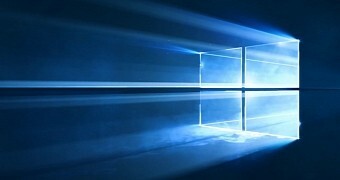 What’s also important to note is that cumulative updates bring your computer fully up to date when you install the latest one, so in case you skipped a previous version because of various reasons, installing the ones that Microsoft shipped today will have you covered.